May is here, bring us a new share of inspiration on various blogs. 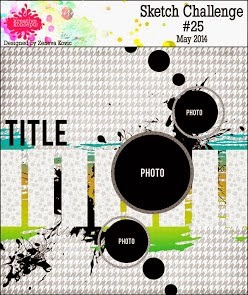 First to go in my space is the new May sketch challenge at Scrap Friends/kreative koncepts. Really cool sketch to play with, you can interpret it is so many ways and try it out with different styles. I've created a masking pattern with a gel medium, which I have coloured with Viva Decor Inca Gold. To get more variation, I have also stamped the background with flourish and typed text background stamps. Make sure to check out the sketch on SF blog and the variety of inspiration from our regular and guest designers. Beautiful! I like this page and this girls photo like very much!! 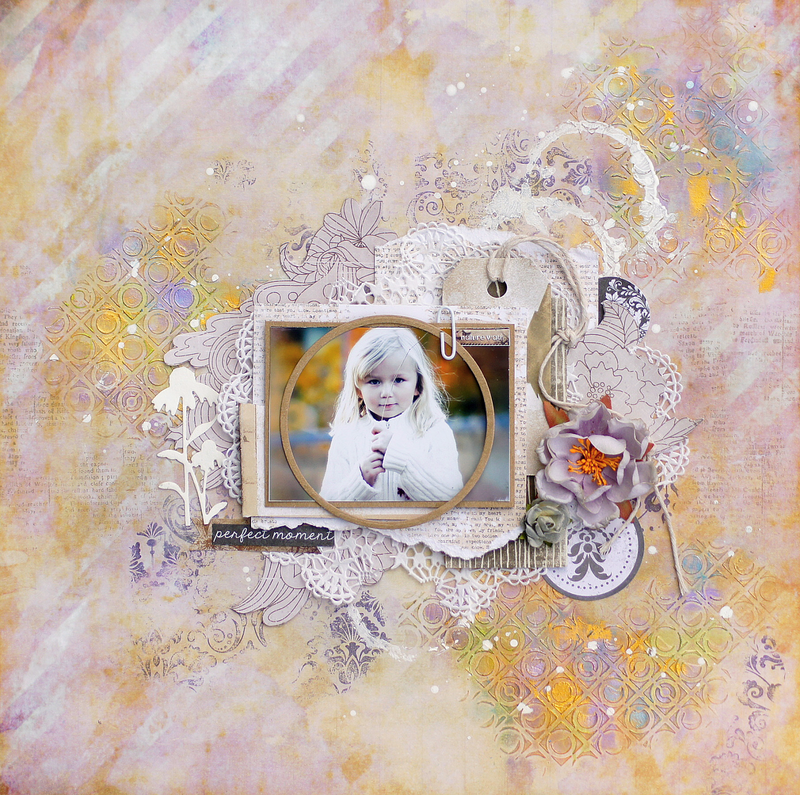 Wow love this.. really beautiful layout.. love the back ground masking and adorable photo! You've created such a beautifully soft inspiring layout. Your work is always divine, and this is no exception. Absolutely stunning layout! This is absolutely GORGEOUS! So soft and subtle and deliciously girly! WOW!